Dr. Roget had not even begun his famous Thesaurus when he heard a terrible crash upstairs in his uncle’s house. Sprinting up the stairs, he found the man who had raised him like a son bespattered with blood. He gathered his uncle in his arms, appalled that such a nurturing figure had quite deliberately slashed his own throat. Why had he committed suicide? Romilly had been distraught over the death of his wife some days before. The news of her passing came to her husband at Cowes Castle, on the Isle of Wight. 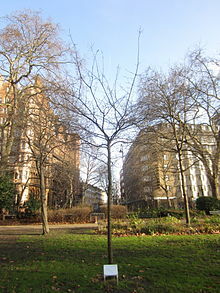 It was thought that removal to his town residence at 21 Russell Square might revive him. His daughter Sophia attended him there, but she had, alas, for a moment, left him alone. He died, as they said, of an excess of sensibility. He died of an excess of love. There was much prevarication in those first reports. Donna Andrews’ Aristocratic Vice: The Attack on Duelling, Suicide, Adultery, and Gambling in Eighteenth-Century England is instructive. Surely Romilly had committed his act in “mental delirium” and “under instant paroxysm of the brain.” Indeed, he had been working tirelessly for the good of a Nation. He cannot be blamed for a physical manifestation that had little to do with lack of character. Other writings were not so charitable. Remember how stoic Princess Charlotte’s husband had been in the wake of Her Highness’ death? 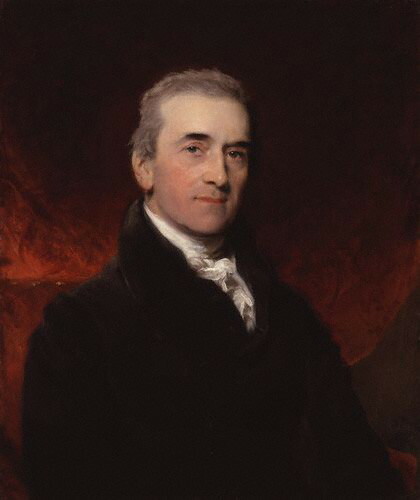 Sir Samuel Romilley by Sir Thomas Lawrence. A slight smile of sensibility about the mouth, perhaps. Had he been less feeling, less sensitive to the tragic death of his wife, he would still be living. This entry was posted in Regency, Uncategorized and tagged Castle Cowes, Isle of Wight, Lord Byron, Peter Mark Roget, Regency suicide, Russell Square, Samuel Romilly by Angelyn. Bookmark the permalink. Oh this is a wonderful post. So interesting……………. I’m glad it went over well. I always think of Austen’s character Marianne when contemplating an excess of sensibility. Romilly may have overtaken her in this instance. Thank you for the compliment, Ella–and yes, it was and still is sad. How interesting! This is somewhat similar to Castlereagh’s suicide, but predated it by, I think, about four years. Wonder if that’s how Castlereagh got the idea to slit his throat? One will never know. . . Also, one doesn’t hear of slitting throats as a preferred method of suicide nowadays. At least in the U.S. where guns are so (unfortunately) easily available. Perhaps Castlereagh’s example was not the best to use in this instance. He did do himself in after Romilly and for reasons that had nothing to do with poor Emily or any other woman. He was also terribly unpopular. As for the method of suicide–slashing one’s throat–that’s an interesting notion to research. Guns were available in the Regency but I’m not sure they were thought altogether reliable–at least, not like today. Sadly. Always good to hear from you, Cheryl.